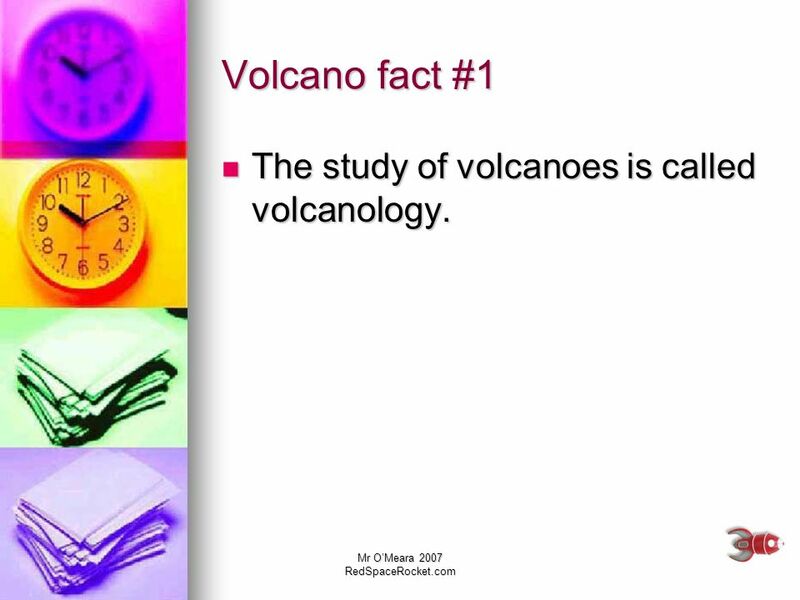 4 Volcano fact #1 The study of volcanoes is called volcanology. 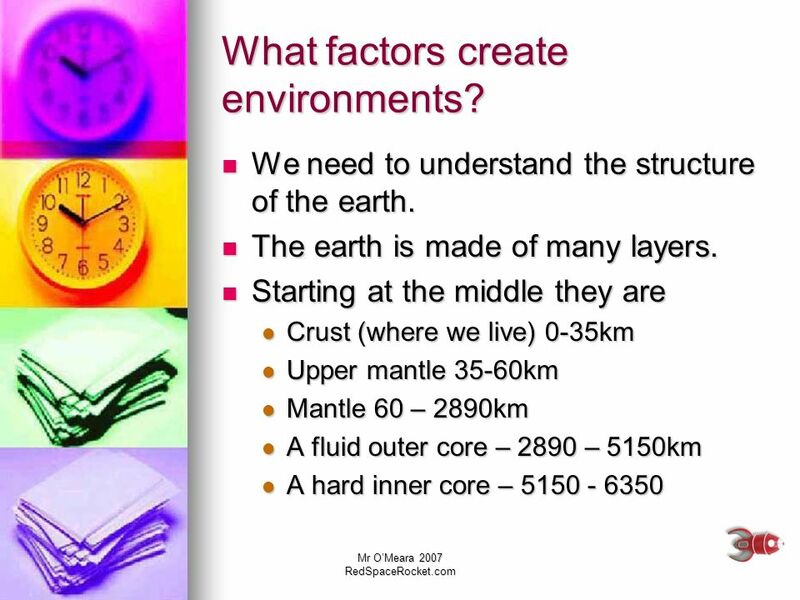 9 What factors create environments? 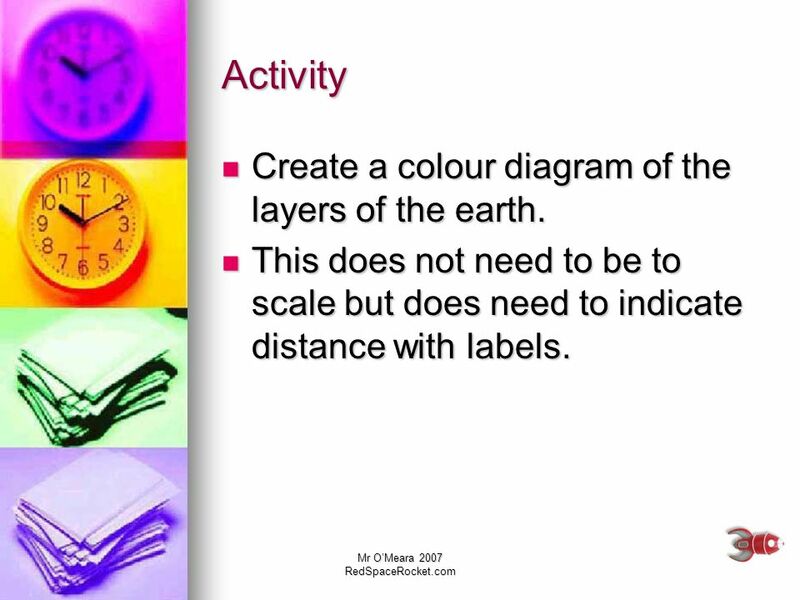 10 Activity Create a colour diagram of the layers of the earth. 12 Magma vs. Lava Magma is molten rock under the ground. 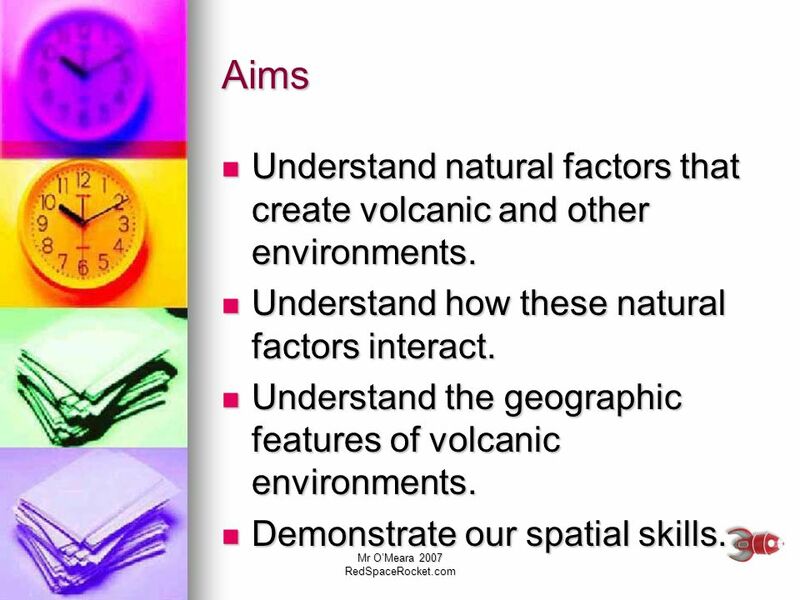 14 What are the geographic features of a volcano? 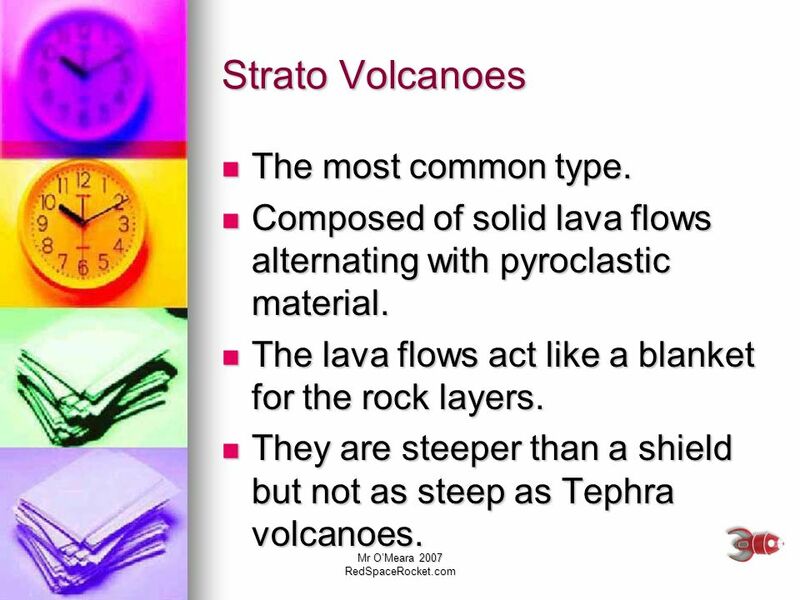 15 Strato Volcanoes The most common type. 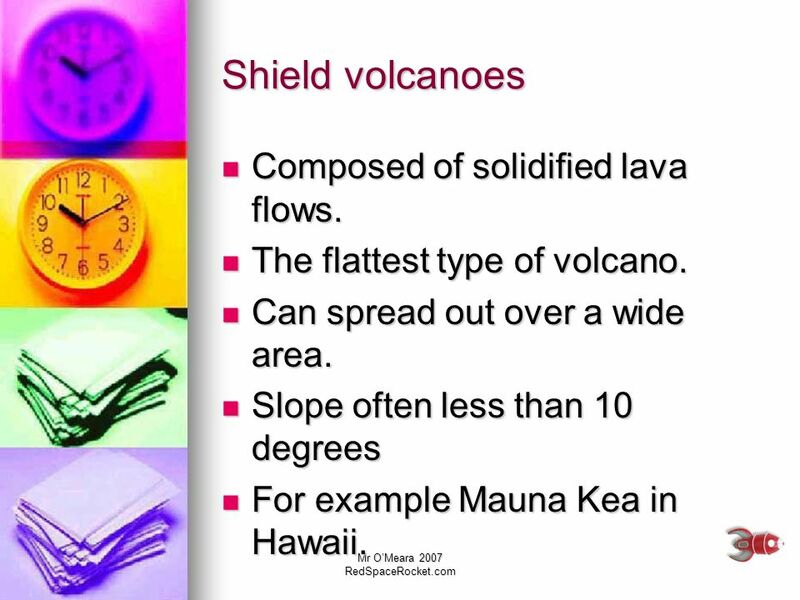 16 Shield volcanoes Composed of solidified lava flows. 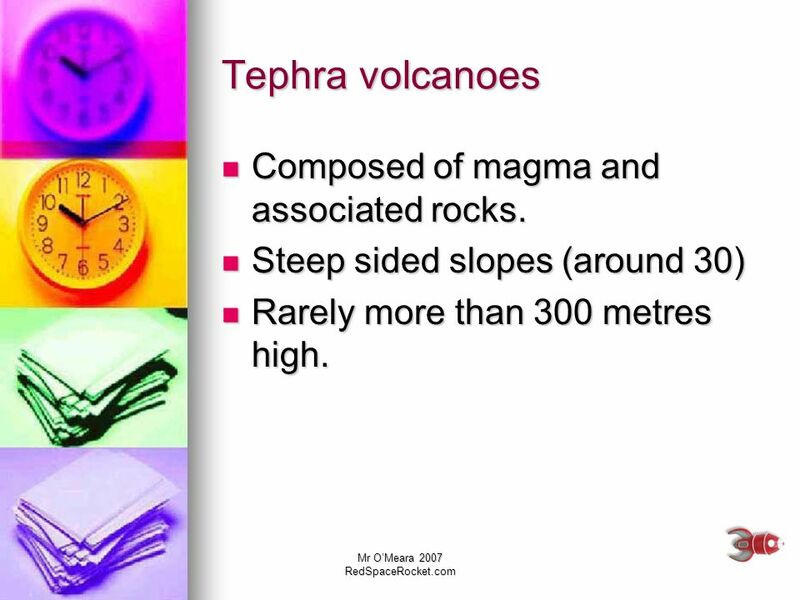 18 Tephra volcanoes Composed of magma and associated rocks. 24 Famous volcanoes - Mount St. Helens. 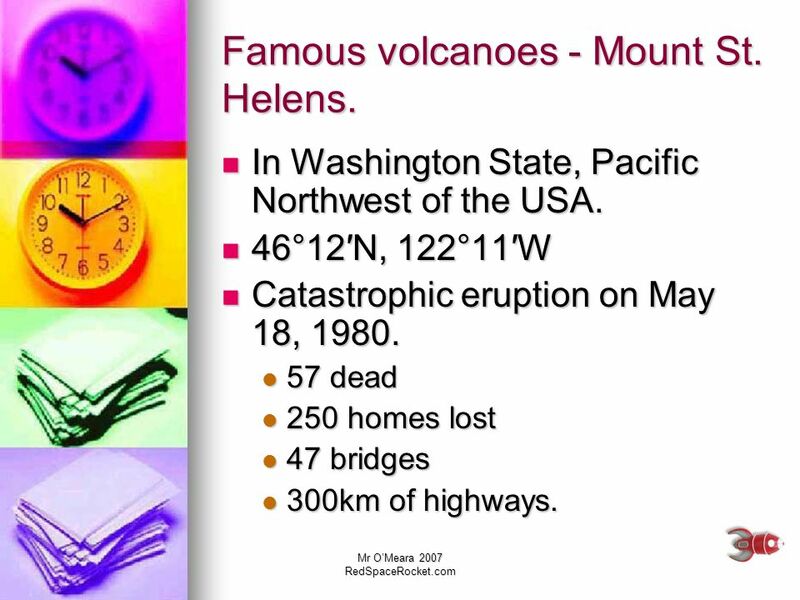 25 Famous volcanoes - Mount St. Helens. 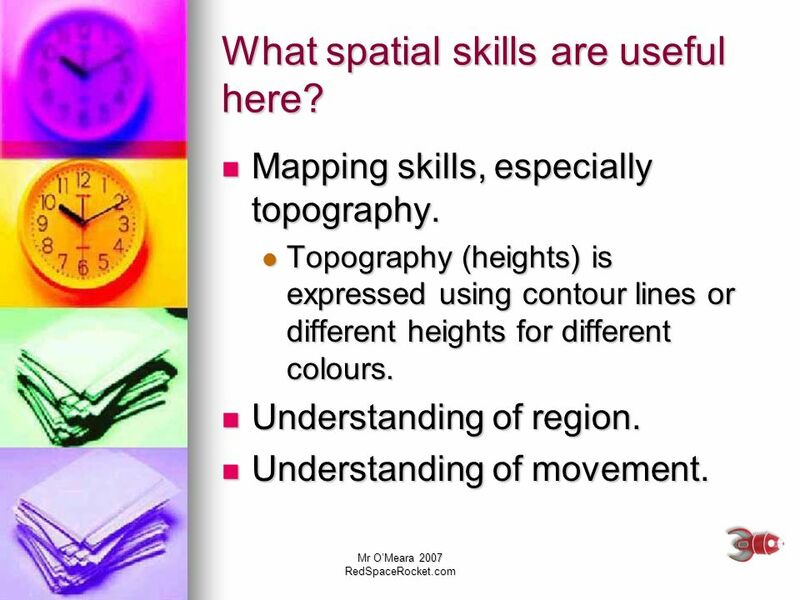 26 What spatial skills are useful here? 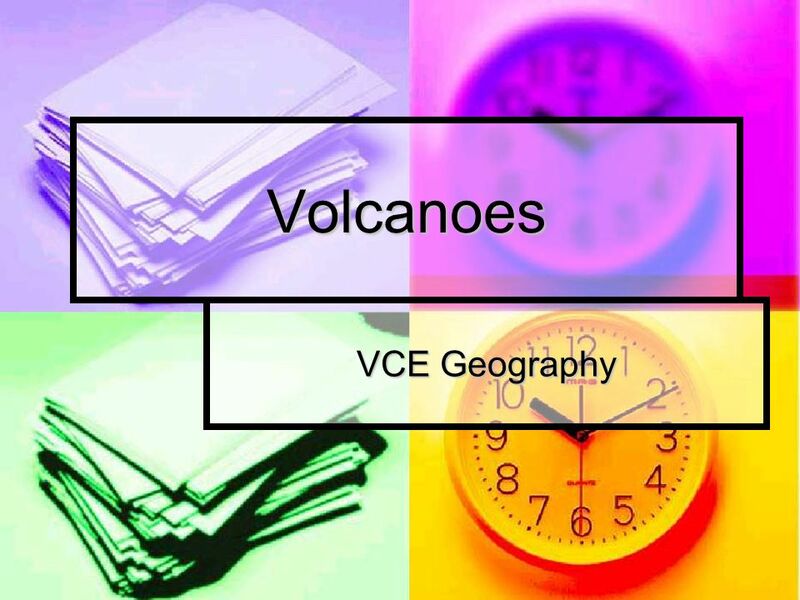 Download ppt "Volcanoes VCE Geography." 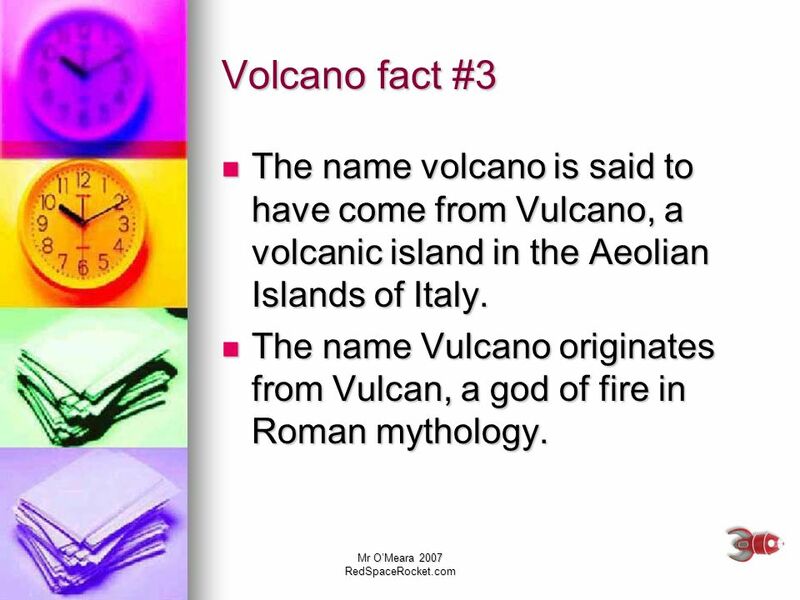 Volcanoes were named for the Roman god of fire, Vulcan. 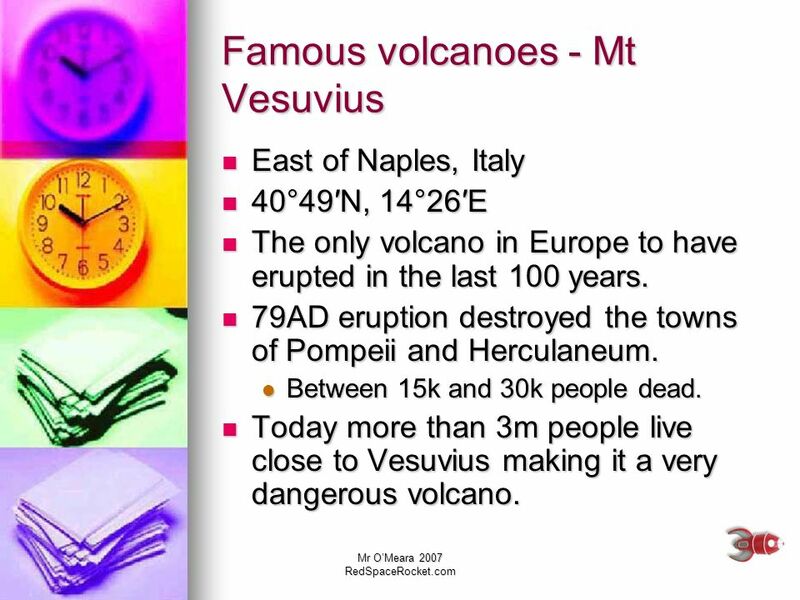 Nature’s Disasters: Volcanoes and Earthquakes. 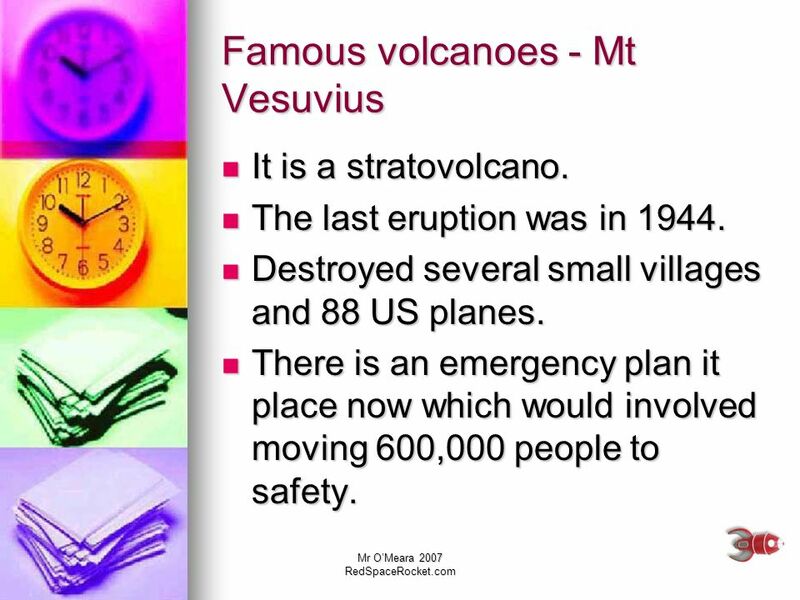 Volcanoes A volcano is an opening in a planet's crust, which allows hot magma, ash, rock and gases to. A POWERPOINT BY CHANTEL MONCUR. 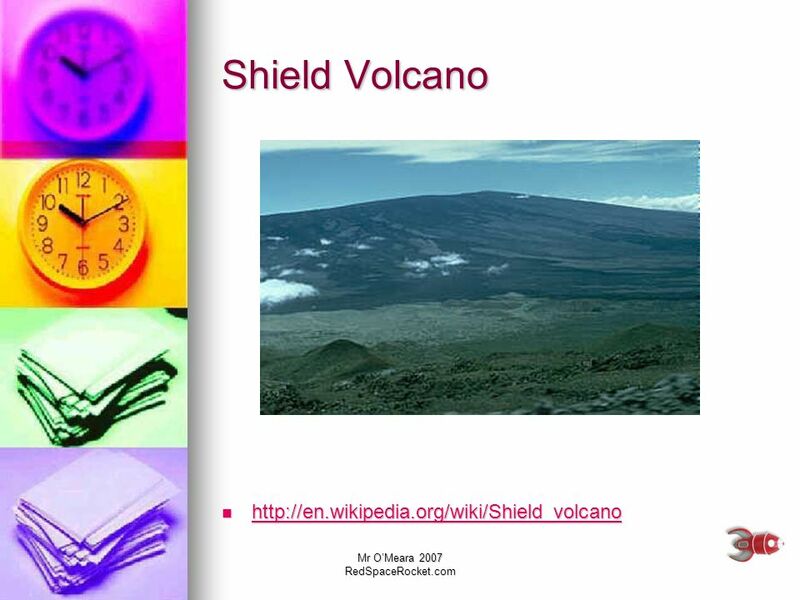  A volcano is a mountain that opens downward to a pool of molten rock below the surface of the earth. 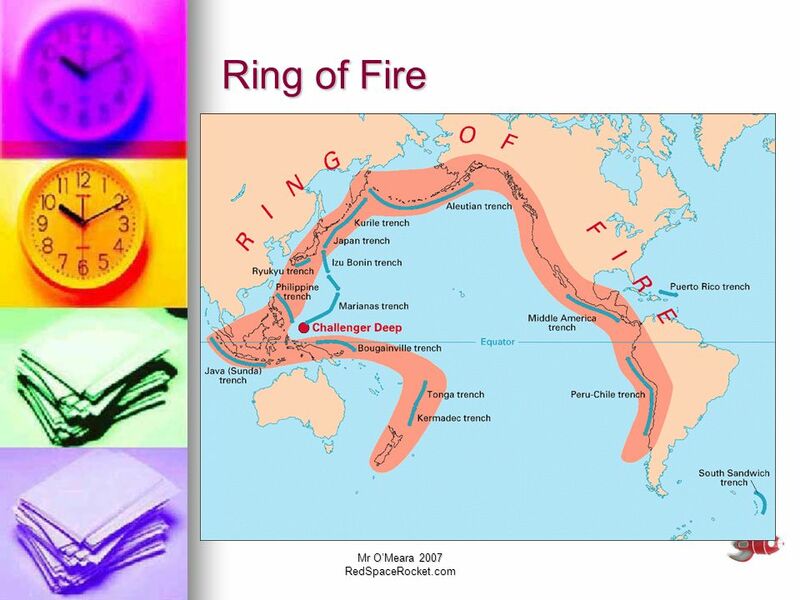  Volcanic eruptions. 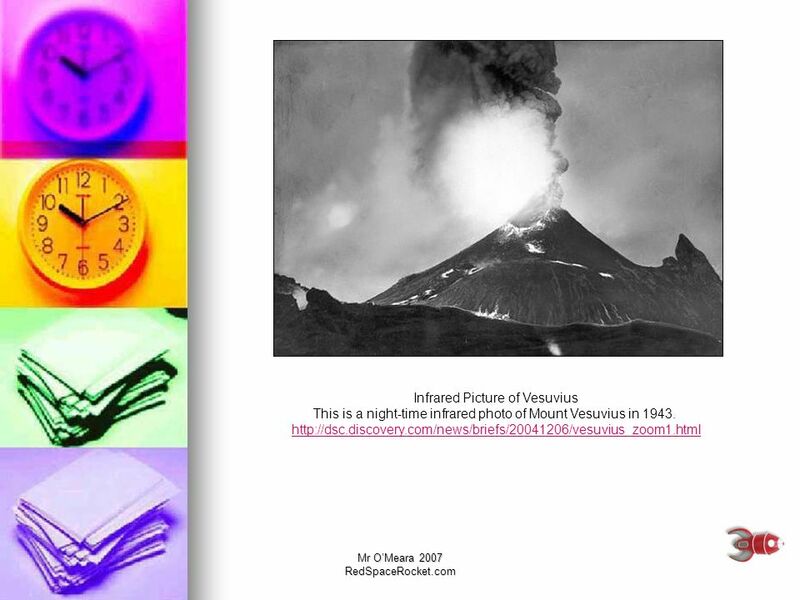 Mr. Altorfer Volcanoes Pages 306 to 315. 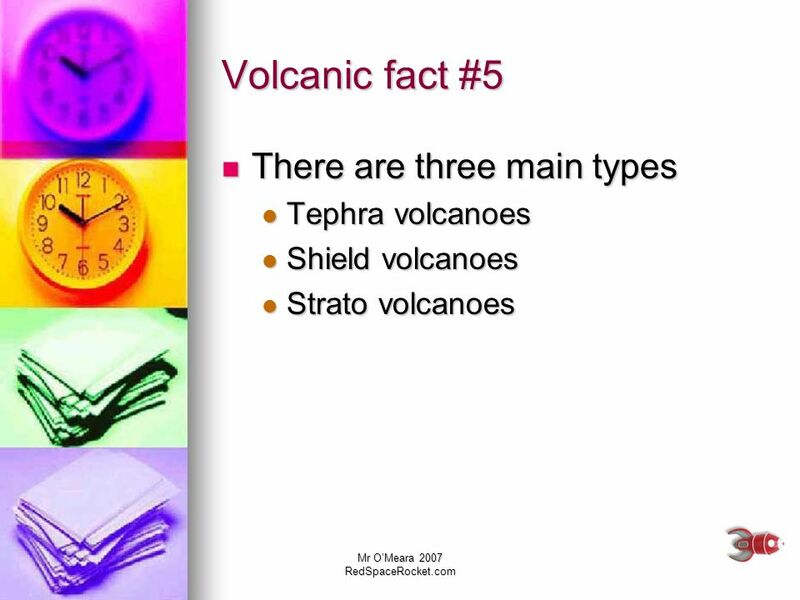 Unit 6-3: Types of Volcanoes. 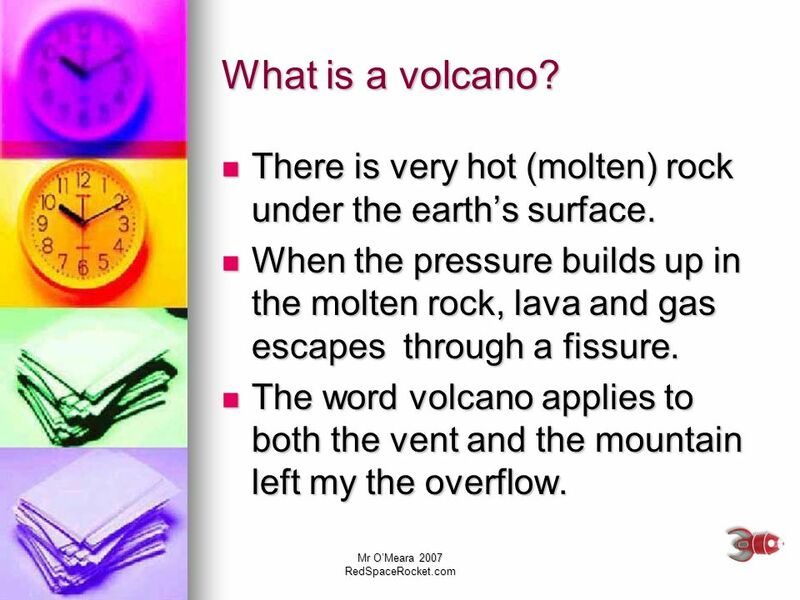 What is a volcano? 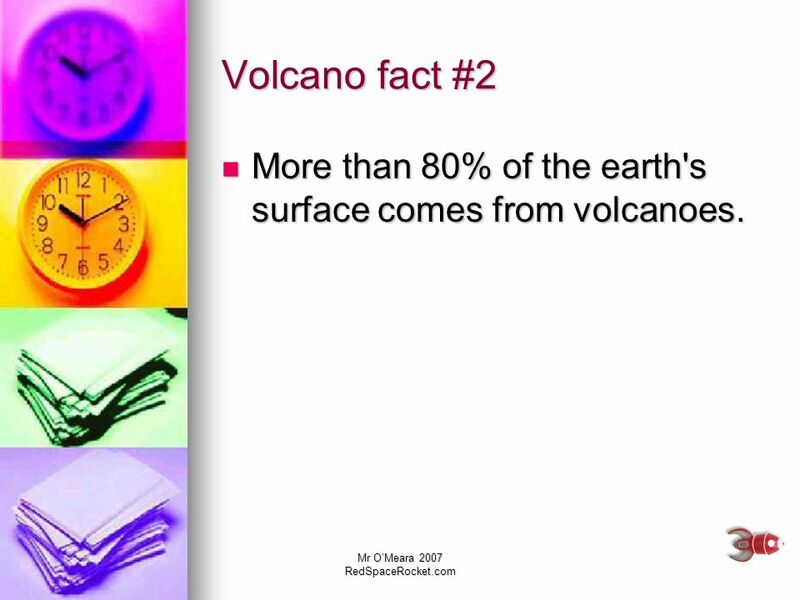 A volcano is a spot in the Earth’s crust where magma can reach the surface.  It is named from the Roman. 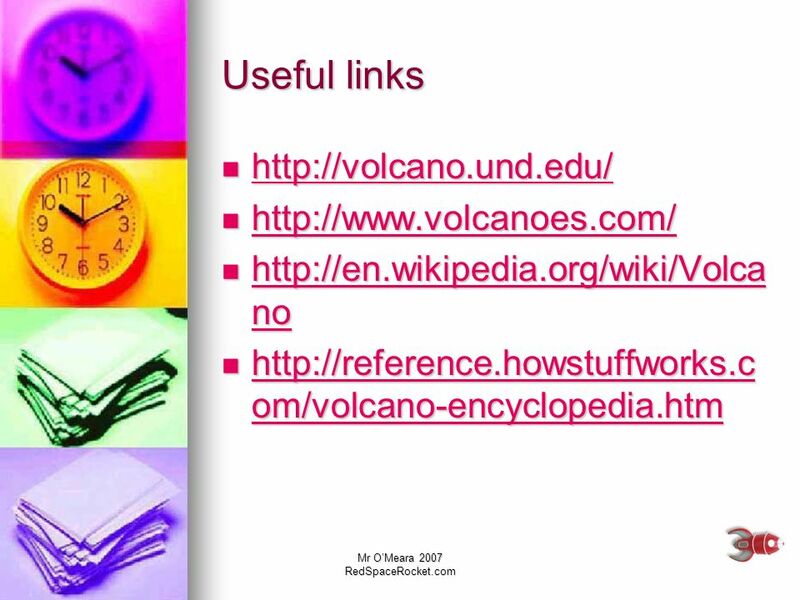 Chapter 4- Volcanoes Test Review. 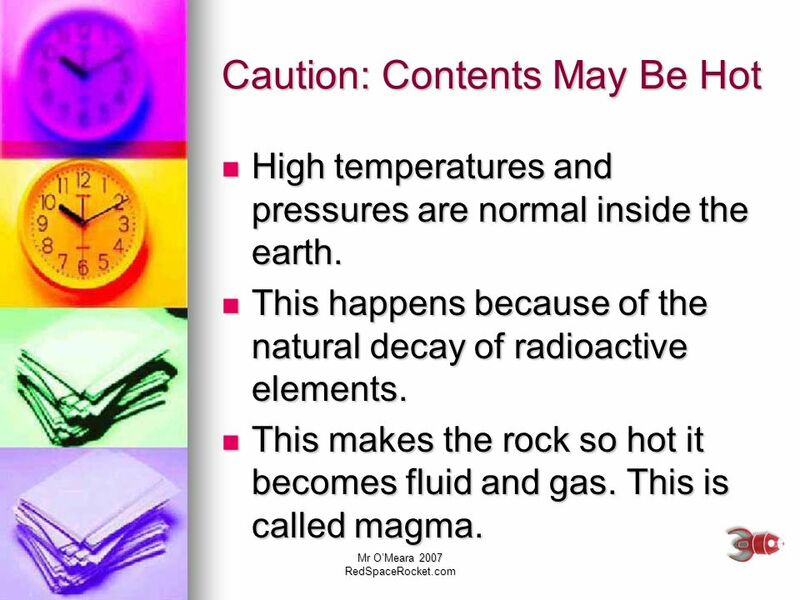 What kind of volcano is made of layers of cinders? Cinder-cone volcano. What are the three types of volcanoes and what type of eruptions does each volcano have? 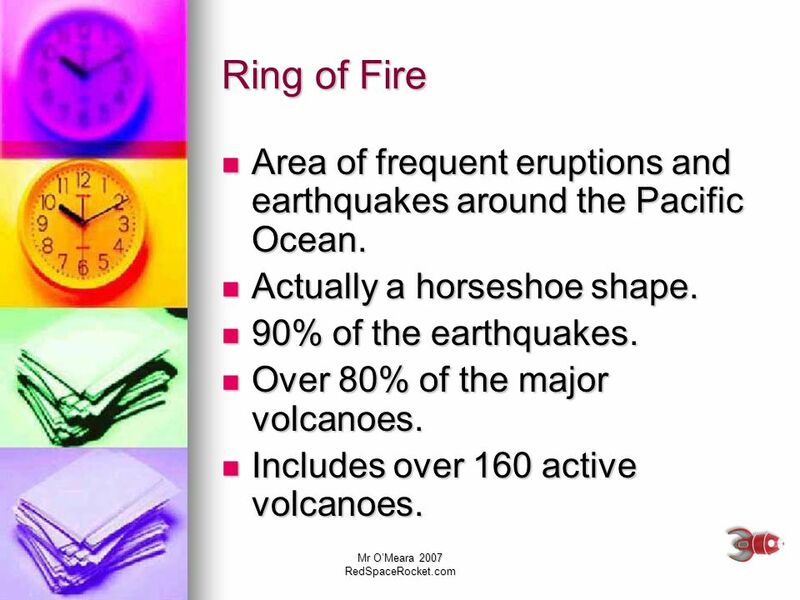 Volcanoes: Nature’s Awesome Power By Maryann Dobeck. Image: Mt Etna. 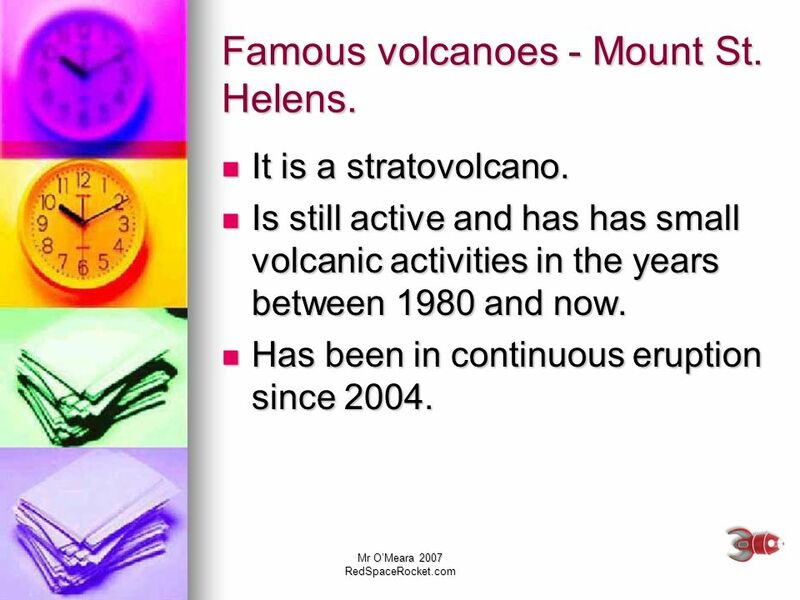 VOLCANOES WHAT DO YOU KNOW? 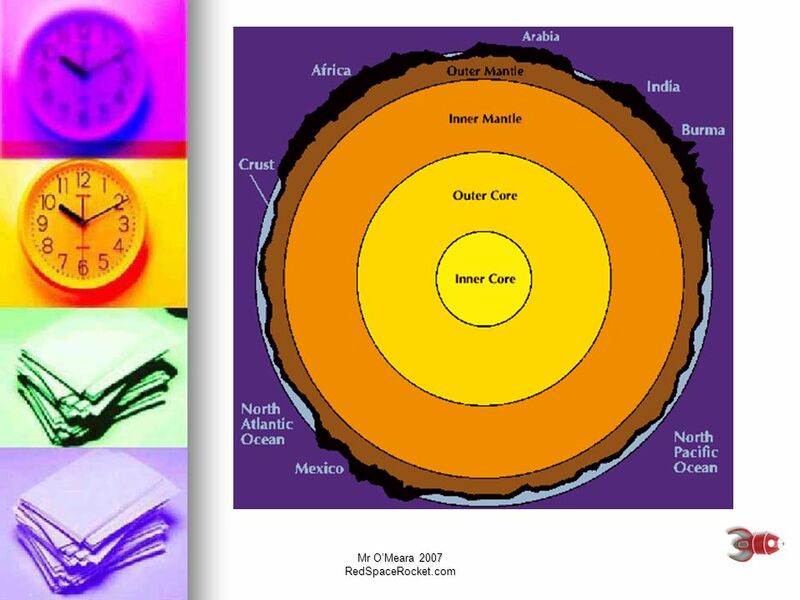 Volcanoes: The Fire Within Chapter 9: Volcanoes. 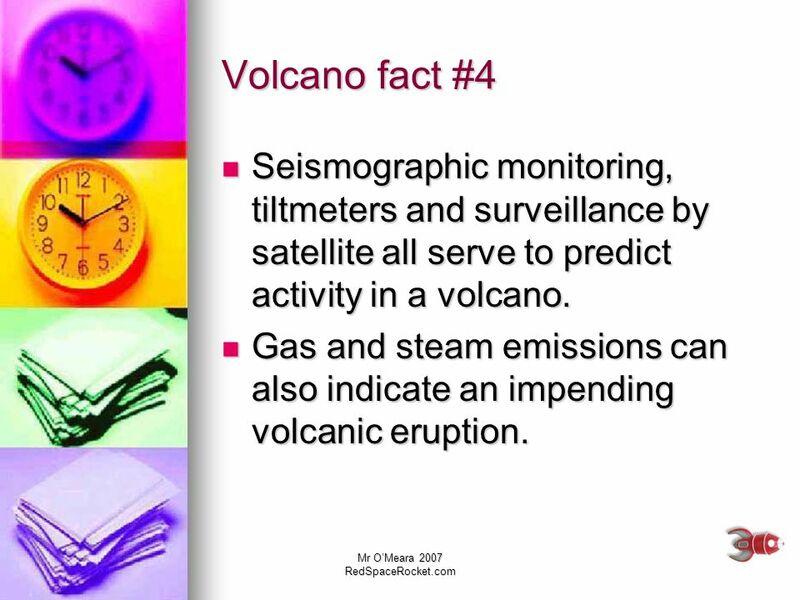 What is a Volcano? A vent that lets out heat from inside the Earth, spewing out lava and eventually forming.